Well, accidents happen, people take unwell. And if you don’t have adequate insurance cover, the financial implications compound the anguish, not just for you, but for the whole family. So, it’s not worth the risk. Now be honest, when was the last time you read ALL of the small print on your travel policy document? I know, sometimes you need a magnifying glass to make out the content on some of these documents, but if that’s what you have to do – do it! Better still, have the cover explained to you before you buy the policy. You know it makes good sense, and it could save you a lot of heartache in the long run. Most of us take a glance at the summary of benefits and see that we’re covered for Emergency Medical Expenses, which on some policies can be for millions of pounds. Personal Public Liability can also be for millions, while Personal Accident Cover and Legal Expenses can be for several thousands. So naturally we think we’re covered for everything. We tend to overlook the most important part of the policy document – THE EXCLUSIONS, the things we’re NOT covered for and usually find out about when it’s too late. SPORTING ACTIVITIES: Do you take part in any activities like jet skiing, scuba diving or kite surfing? These are just some examples of what people do while on holiday. If you intend taking part in ANY sporting activities, check that you’re covered for accident. MEDICAL CONDITIONS: It’s extremely important that you declare a pre-existing medical condition, if you don’t you won’t be covered. It’s not worth taking a chance that you’ll be ok when you’re on holiday, and some insurers now cover pre-existing medical conditions. Treatment costs can be very high, so please don’t risk it. PERSONAL INJURY: This is the one that catches a lot of people out. When you’re letting your hair down on holiday, it’s so easy to get carried away and sample too much of the local wines and spirits. But you have to remember that accidental injury caused while under the influence of alcohol, or any other drug, is not covered. PASSPORTS AND VALUABLES: You will normally find that these are covered, providing you don’t leave them unattended. I can’t stress that enough! If you’re lying by the pool, and going to the bar, take your valuables with you. If you leave your apartment or hotel and you don’t take your valuables with you, THEY MUST BE LOCKED IN A SAFE! VACINATIONS: If you’re visiting any country that requires you to have vaccinations, you must get them. If you suffer any illness or disease and you have not taken the jabs, then you will not be covered, and you will be liable for all medical expenses, which can amount to many thousands of pounds. PERSONAL EFFECTS: Some of your personal effects may not be covered. 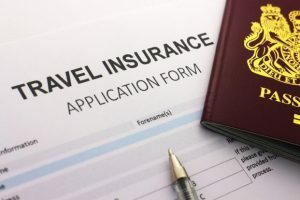 Not all travel insurance policies cover things like hearing aids, dentures and contact lenses. If you use any of these, make sure they’re covered before you go. I prefer to arrange my Travel Insurance Online when I have time to shop around for a good deal. Last time I bought insurance I was happy with the service. When I entered my details I got seven different quotes and options to view the policy benefits and exclusions. I saved money, the service was good, so I think I’ll stick with this one.